1. Start with healthy bathing habits. Use a washcloth and a pumice stone or scrub brush to remove dead skin and lather up your feet each day. We like to use a soap called PediFix, which contains tea tree oil — a natural antifungal. 2. Switch up your footwear. Let the hot, moist air out and keep those feet dry! Look for natural materials that “breathe” better than synthetics. True leather is much better than synthetic leather, for instance. There are also brands like Geox that specialize in making shoes with patented breathable technology. 4. Go open-toe. Whenever possible, opt for sandals and open-toe shoes that let your feet breathe. We also like to wear peel-and-stick Summer Soles in our sandals to absorb sweat and leave a fresher smell behind. This product comes in men’s and women’s varieties, can accommodate thong sandals, and comes in different fabrics, colors, and scents. 5. Let your shoes dry. If possible, put your shoes out in the sunlight for a few hours to let the UV rays kill bacteria and dry out your insoles. In the winter, you can put your footwear near a heater vent. You can also use the SteriShoe UV shoe sanitizer to zap up to 99.9% of the living bacteria in your shoes within 45 minutes and dry out your sweaty shoes at the same time. 6. Watch what you eat! Did you know that eating garlic, onions, and peppers can make your feet more pungent? You can go one step further by “eliminating refined carbohydrates and balancing protein, healthy fats and complex carbohydrates,” according to Dr. Robert A. Kornfeld. Take up to 30 mg of zinc per day to make the skin more resistant to odor-causing bacteria. Foot soaks can help reduce unpleasant foot odor. 9. Try ginger. Mash a 2-inch piece of ginger into a pulp, put it into a piece of gauze or handkerchief, and soak it in hot water for several minutes. 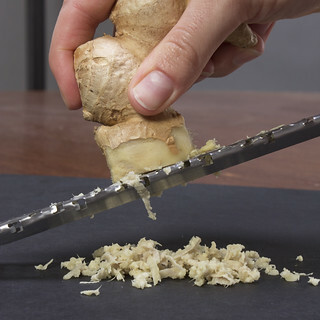 Rub the ginger mash onto your feet each night after your shower to deter bacteria and fungi. Did you know ginger can be used to treat smelly feet? 10. Spritz your feet. Wondering what to do with all those spare radishes from the garden? Juice two dozen of them, add 1/4 tsp of glycerin and squirt the liquid onto your feet to reduce odor. Of course, you can’t treat stinky feet without also treating your stinky shoes. You can have the freshest-smelling feet on the planet, but it doesn’t matter if you’re only going to stick them in smelly footwear again. Ultraviolet light is a natural way to kill bacteria, fungi, and viruses. The SteriShoe UV shoe sanitizer will kill off the pathogens in your shoes so the main cause of foot odor will be a thing of the past. Try The SteriShoe UV Shoe Sanitizer For 30 Days! We are offering a risk-free trial of our product for 30 days. Get it here! You can also call 1-866-686-7463 with any questions. April Is National Foot Health Awareness Month- Tips on Caring for Your Feet Foot Fungus Awareness: Can You Get Athlete’s Foot from Laundry?